Headquartered in Montreal, GardaWorld provides business solutions and security services around the world. Their 45,000+ trained, dedicated professionals serve clients across a broad range of sectors, including natural resources, retail, construction, telecommunications and manufacturing, and on behalf of companies, governments and humanitarian relief organizations. GardaWorld is one of the top ten, fastest-growing security companies in the world and the largest security firm in Canada. 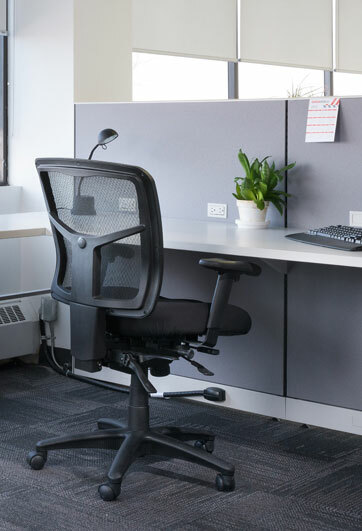 It was only a matter of time before the Toronto office space was no longer sufficient to meet their rapidly expanding needs. The client required an entire new facility, complete with renovations and upgrades to include their new branding standards. All of these stipulations, combined with a tight time schedule, presented Truspace with a challenging opportunity. Providing solutions to this type of project is exactly what Truspace specializes in. 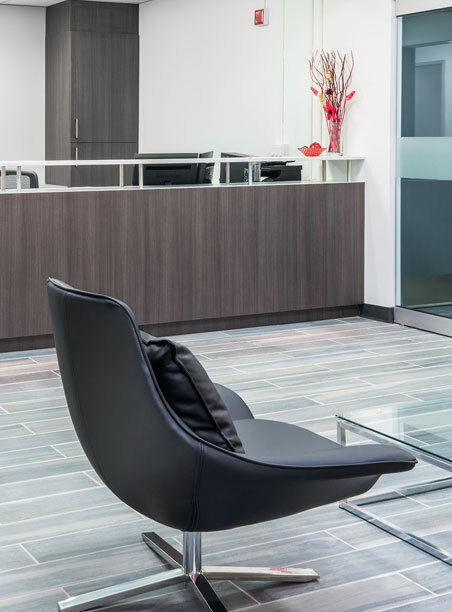 Efficiently taking control of the project, Truspace coordinated the entire process, from design to construction, right through to furnishings and light switches. The single-source solution Truspace focuses on providing easily accommodated the short timetable by streamlining the organization of trades. Truspace proposed a solution that not only met GardaWorld’s requirements but remained within a conservative budget. In eight short weeks, the design, construction and upgrade of the 10,000 sq./ft. space was complete. 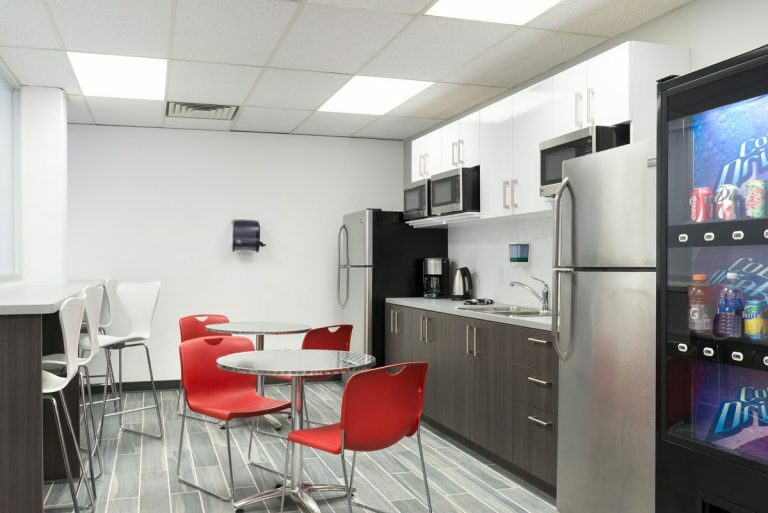 The entire personnel of the new GardaWorld Toronto location moved in exactly as scheduled to a brand new, fully furnished office. The space showcases GardaWorld’s global image with open, efficient workstations, an abundance of light, clear sight lines, a crisp design and an eye-catching reception that leaves a lasting impression. Their new branding standards are clearly showcased throughout the facility.